And their dropping like flies! 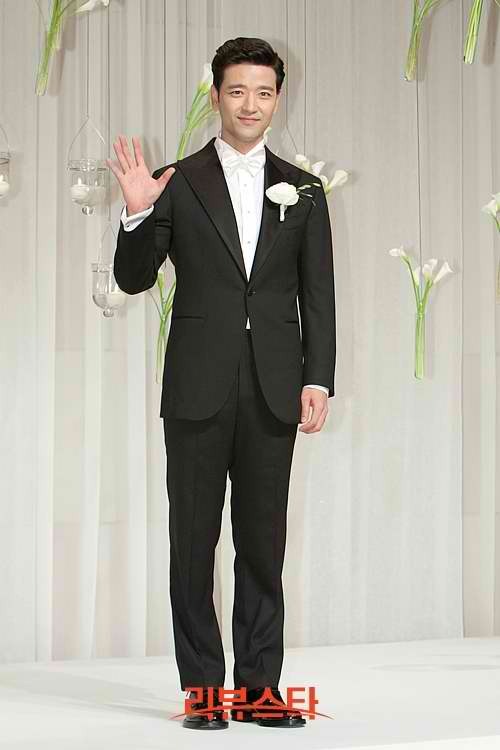 Bae Soo Bin who is probably best known for his role in Brillliant Legacy/Shining Inheritance opposite Han Hyo Joo got hitched to his non-showbiz girlfriend, who is 8 years his junior at the Silla Hotel in Seoul this afternoon – September 14. 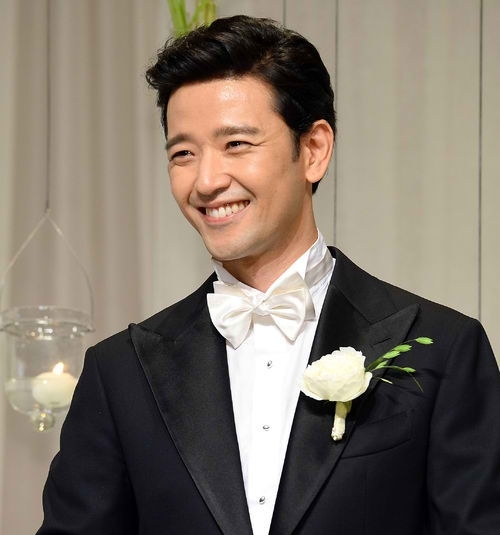 Some of his former co-stars and celebrity friends attended the affair including: Lee Byung Hun (minus Lee Min Jung) who got hitched not too long ago, Yoo Ji Tae (a fellow ’76 liner) plus wife actress Kim Hyo Jin, his 49 days co-star Jo Hyun Jae and others. I bet sooner or later we’ll here news of other oppas getting hitched. I’m talking about Won Bin, Hyun Bin, Song Seung Hun, Jo In Sung (and those from their lines) and I’m pretty sure that tears would flow and hearts will be broken. But before them, Ji Sung and Lee Bo Young is up next. Bae Soo Bin oppa was all smiles during the press conference even joking that he’ll be back after his honeymoon just in time before his new drama Secret/Secret Love 비밀 airs on September 25th on KBS.